The reasons for studying a Slavic language and culture are as unique and diverse as you are. As regions of the former Soviet Union spread their political and economic wings, the number and variety of career paths available to students of Slavic languages and cultures is constantly expanding. On any given day, in fact, you can find dozens of nurses, farmers, business professionals, artists, teachers, construction workers, funeral parlor owners, adoption workers, missionaries, entertainment entourages, athletes and school children traveling between the US and the countries of the former Soviet Union. Each year, thousands of US citizens find satisfying and profitable work for which knowledge of a Slavic language and culture is critical. Hundreds of law firms, consulting agencies and accounting groups have opened offices in these countries, including such big names as Ernst and Young and Andersen Consulting. High-tech computer, energy, and communications suppliers such as Cray Research, Apple Computer, AT&T and Mobil are well-established in these areas, as well. The United States Embassy, Peace Corps, and scores of city governments and Sister City programs offer exciting and profitable opportunities to people of all ages and backgrounds, from teaching English as a Second language, to organizing and participating in small business and academic exchanges. Food and other service industries–including Ben and Jerry’s, Pizza Hut, M&M Mars, Phillip Morris, and nearly every other nationally dominant chain from US and Europe — are now well established in these countries. Similarly, the number of charitable, religious, academic, and political organizations with ties to these regions has grown beyond enumeration. All of these companies, institutions, and organizations need individuals whose lists of talents include familiarity with at least one Slavic language and culture. The Russian-language curriculum at the University of Wisconsin-Madison is a four-year, four-skill (listening, speaking, reading, writing), learner-centered communicative language program that teaches students contemporary standard Russian with an emphasis on the current norms of language use in Russia. As a consequence, students improve their understanding of the structure of English and other languages. 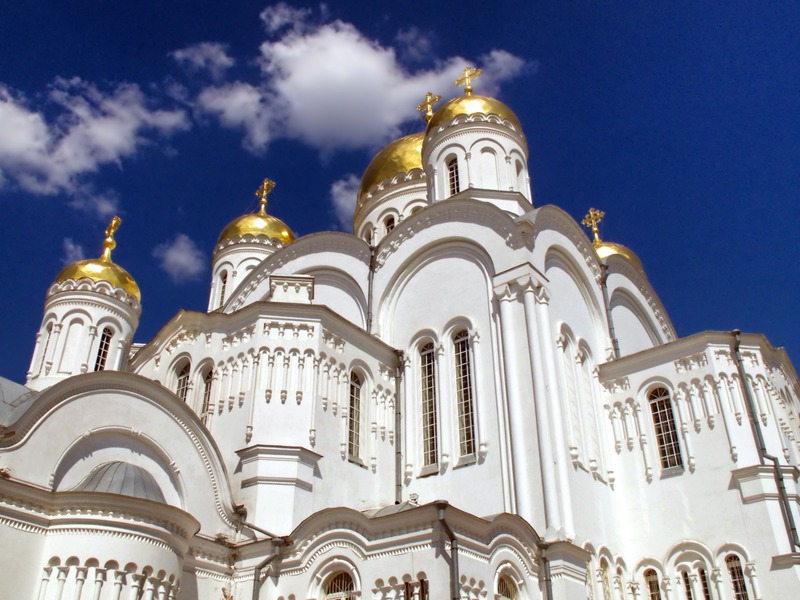 At every level of instruction, students are expected to work towards greater understanding not only of Russian culture in particular, but also, more generally, of the multiplicity of world cultures. Our focus on culture includes not only literary culture and other aspects of “Olympian” culture (e.g., opera, ballet, film, painting), but also “hearthstone” culture (e.g., Russian phone and Internet etiquette, how Russians take off their shoes and put on slippers, and so forth). UW-Madison Russian-language instructors work to prepare our students to communicate with Russians in Russia and with Russians here in Wisconsin. We also work to prepare students to use Russian sources and Russian perspectives to understand texts and ideas relevant to disciplines other than language and literature, and our courses complement with many others on campus in history, political science, sociology, international studies, and others. At the end of the second year of instruction, most students in the UW-Madison Russian-language program achieve intermediate level-proficiency in listening, reading, speaking and writing according to the Proficiency Guidelines of the American Council on the Teaching of Foreign Languages (ACTFL). In their third or fourth year, we strongly encourage students to study in Russia on our study abroad program under the auspices of the American Council of Teachers of Russian (ACTR), where many students can achieve advanced proficiency. Some students also choose to study in a Russian-language summer immersion programs here in the United States or in Russia, although this is not a requirement. Many students who complete four years of Russian-language instruction at UW-Madison and who participate in our study abroad program in Russia for at least a semester get jobs requiring Russian- language expertise here in the US, both in the private and government sectors, as well as in various contexts in Russia. 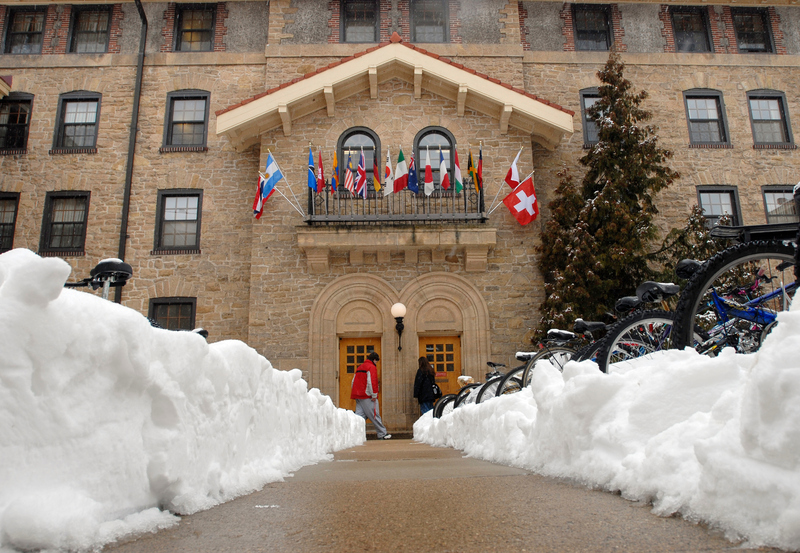 Many students who complete the Russian program at UW-Madison go on to graduate studies in language and literature, history, political science, law, business, and other disciplines. 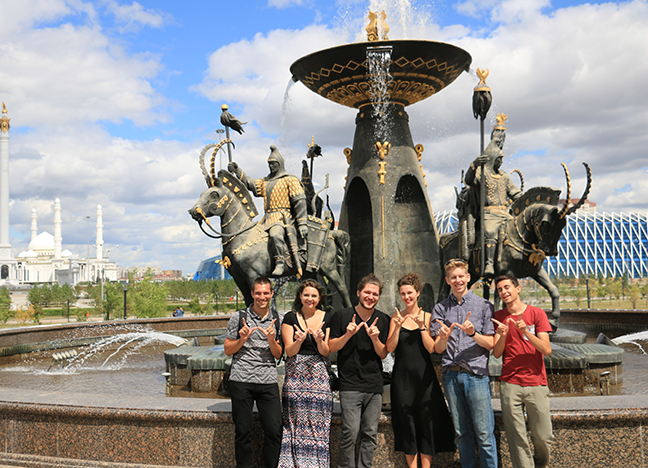 To hear from alumni who had the opportunity to study the Russian language at UW-Madison, head to the profiles of Kassandra, Hannah, Jonathon or, Brett. We are pleased to provide learning accommodations for students with disabilities who have been working with staff at the McBurney Disability Resource Center . 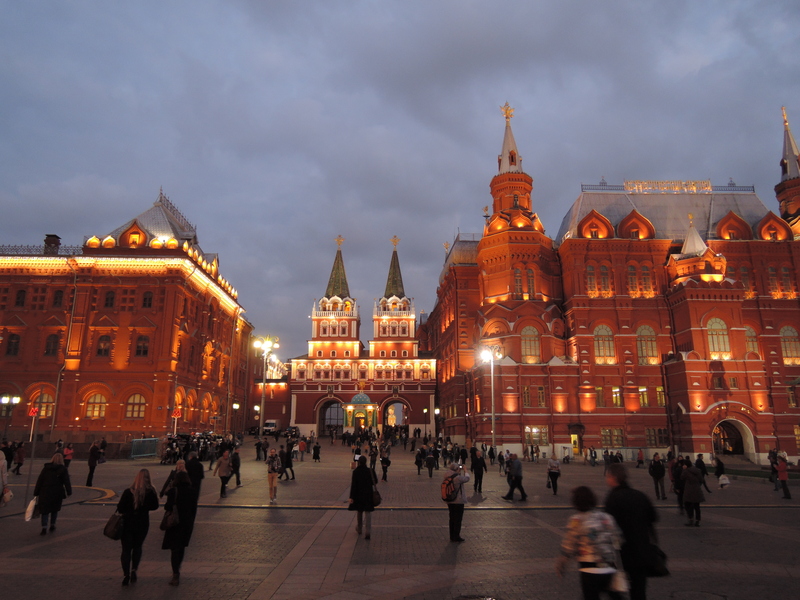 Studying abroad is not only a great way to solidify your knowledge of the Russian language, but also a chance to experience the culture first hand. To hear more about this opportunity from students who have pursued it themselves, click on the profiles below. The University of Wisconsin-Madison Russian Flagship Program is a federally funded program that provides opportunities for undergraduate students of any major to reach a professional level of competence in Russian by graduation. The program not only strives to increase students' Russian language proficiency and intercultural competencies, but also links students’ intensive language study with their other academic interests and professional aspirations. The program welcomes applications from undergraduates of all majors and at any level of prior experience in Russian. The Russian Flagship Program is a collaborative initiative of the Department of German, Nordic, and Slavic and the Language Institute, with the Center for Russia, East Europe, and Central Asia and the Doctoral Program in Second Language Acquisition, funded by The Language Flagship, a public/private partnership sponsored by the National Security Education Program (NSEP). In addition to study abroad opportunities, UW-Madison students of Russian can live in Russkii Dom, a residential learning community in Adams Hall. Residents benefit from the support of a community of like-minded students who share their interest in Russian language and culture. Women’s Crisis Center of St. Pbg .